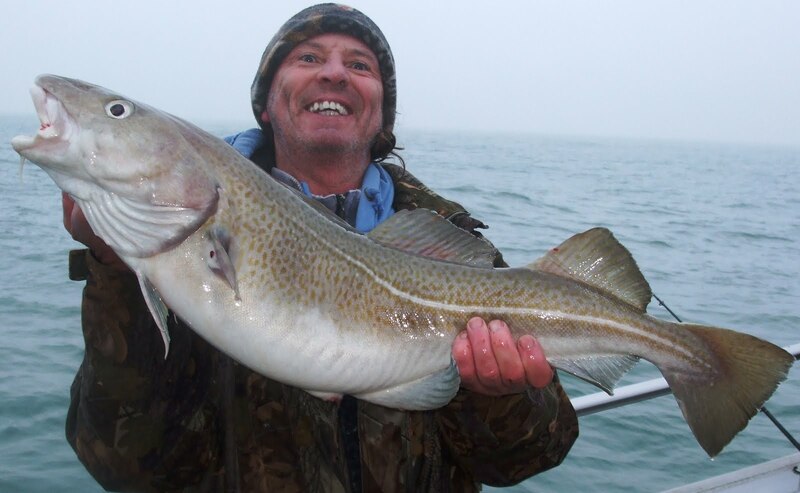 The annual Poole Bay Cod Comp organised by Andy Robbins of Poole Sea Angling Centre. 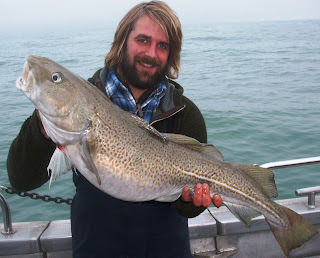 4 cod 5 congers, a new boat record bass and all the usual pout doggies and whiting. 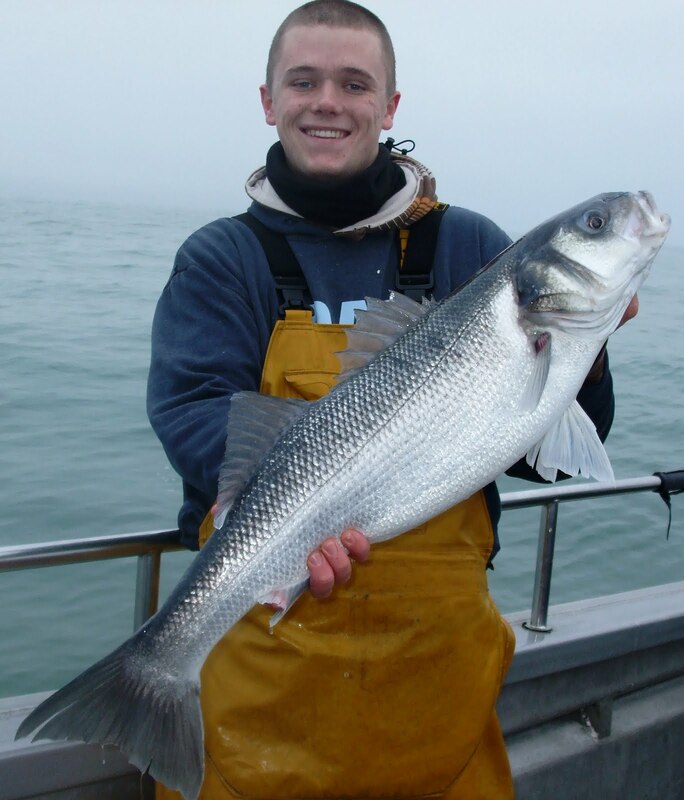 Crackin' day!! 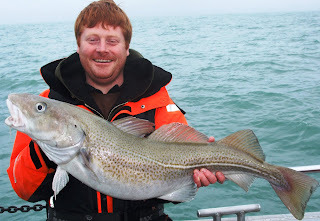 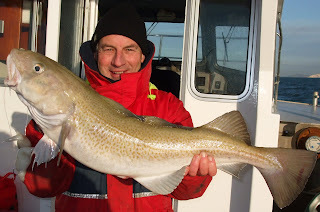 Best days winter cod fishing this winter yet with 6 cod coming to the net including Robin Holloway's 18.5lber and Kelvin Hindmarch's 24lber coming within minutes of each other. 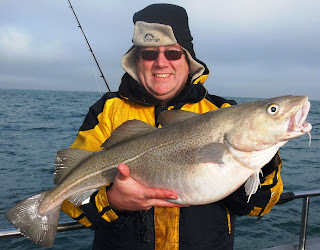 Along with a couple of double figure thornback rays and plenty of whiting things are looking up. We have spaces this friday for individuals so get booking now and be the first person to get one over 30lb and win a free trip to Cherbourg next year. Noel with a very fat 17lber on of 2 caught today plus some nice whiting. Rob Perry with a 17lber. PB and new club record for Salisbury Social S. A. C.